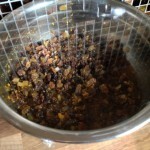 The day before baking, in a large bowl, soak all the dried fruit in the Guinness or stout, cover and leave overnight. 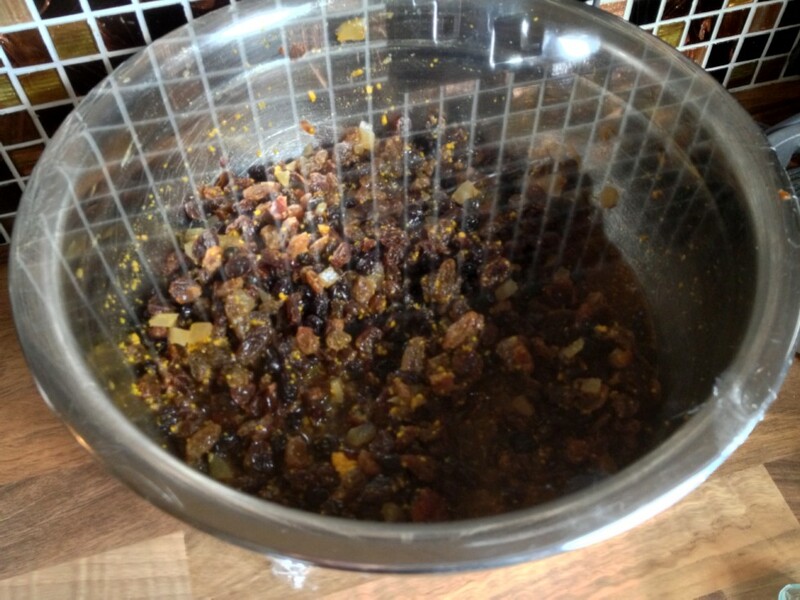 Add all the remaining ingredients to the soaked fruit and mix well, making sure there are no pockets of flour. 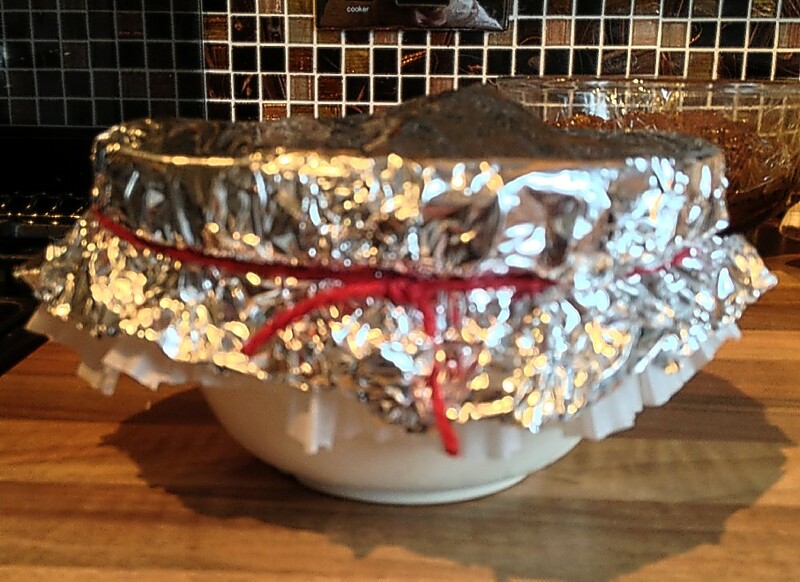 Divide between the basins and cover fairly loosely with baking parchment and a foil lid as there needs to be room for the pudding to rise. 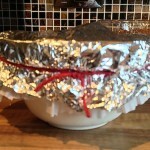 (see pic) Tie tightly with string. 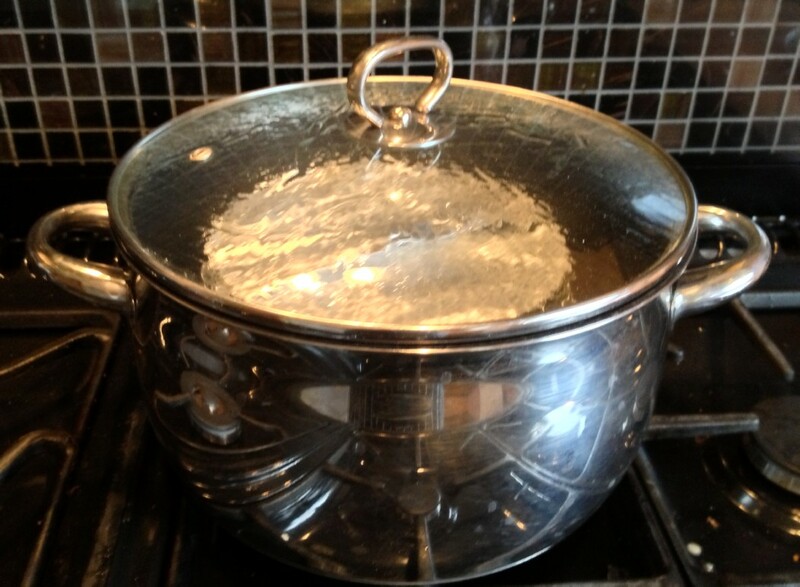 Stand the puddings in large saucepans and pour in enough boiling water to come half way up the basins. 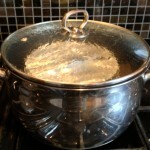 Bring to the boil, cover with a well fitting lid and steam for 6 hours, topping up the water where necessary. Once cooked, keep them in a dark place ready for Christmas. To reheat, steam for approx 1 hour. 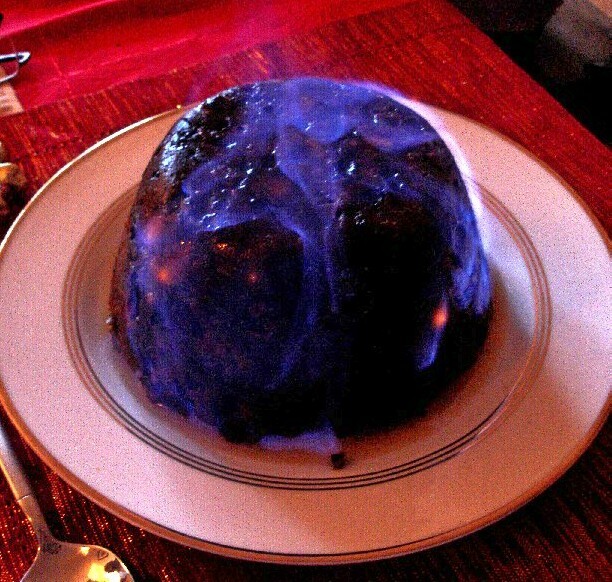 This is a slightly different take on a traditional pudding, because of the warming ginger, but just as delish!